It seems like singer Csaba Zvekan stays a busy man…just a year ago he was fronting a power/neo-classical metal band Raven Lord, now he has grabbed some of the same musicians and now fronts a Doom metal band by the name Exorcism. Next I expect to see him front a country music/folk metal band called the Hayseeds. Csaba is truly a man of many talents and ideas. I am not sure what happened to the Raven Lord project but now of course it seems as if Csaba is ready to shift gears to a more doom-ish approach and release ‘I am God’ upon the masses and doom it up. Doom bands for me have always been a mixed bag….on one hand I always liked the lyrical subject matter and the bare bones approach of the music in terms of how they get their sound but on the other hand sometimes doom bands just like to make 15 minutes songs that just play a bunch of weird notes and makes me feel like I need to be stoned or something. Well how does Exorcism do with their brand of doom? Well for me as a listener, Exorcism sound like a neo-doom type of band. By that I mean, they keep the occult/religious lyrical themes doom bands are known for but production wise the album sounds a little too ‘squeaky clean’ for my tastes. Make no mistake the album sounds good, the music is played well and it tries to be a doom album but the production sounds too clean and digital and not the warm, fuzzy analog sound that kind of is a trademark for the doom sound. As for the songs themselves, they are not bad, they will keep the listener engaged(which a lot of doom songs will not) and the album has some really well written songs many of which I think sound more like hard rock songs with some mystical themes such as the ‘Master of Evil’ song. This isn’t really a bad thing if you are looking for some good, solid hard rock songs that are played really well. 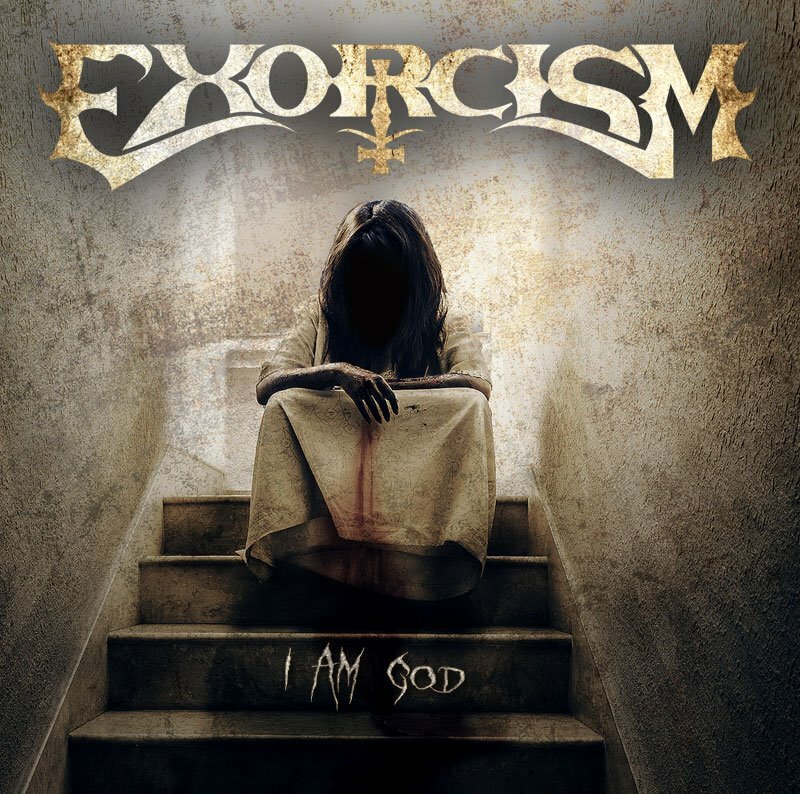 However, if you are a diehard doom fan you might listen to Exorcism and be a little confused as to what you are hearing as I do not feel ‘I am God’ is really a doom album in the traditional sense but I do think it is a really good hard rock album. So if you can get over that fact that ‘I am God’ doesn’t fit neatly into the doom category I think this album will be a pleasant listening experience for doom rockers and hard rock fans alike. So give Exorcism a try if you are someone who can appreciate good rock music. I don’t think you would be disappointed.